These auctions take place between two and four times a year, from February to November (please check our Diary Dates page for more information). 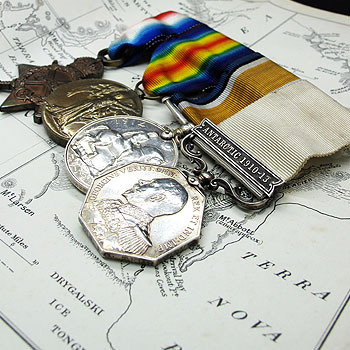 We are the leading Medals and Militaria Auctioneers and Valuers throughout the region and these specialist auctions have a very large following of both trade buyers and private collectors. 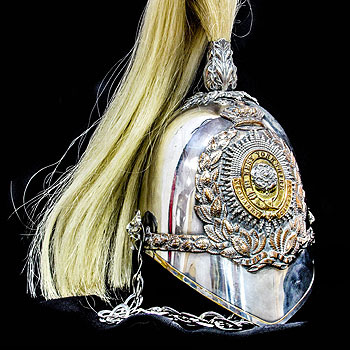 Militaria areas covered include knives, swords, powder flasks, binoculars, books, badges, photographs, bayonets, rifles, uniforms pistols and other arms and weaponry plus associated collectable items. 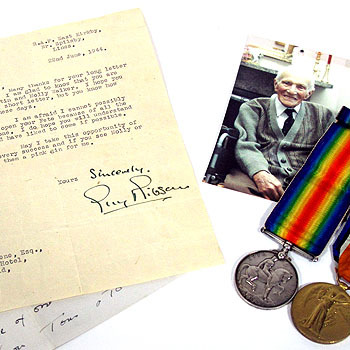 We also specialise in medals, medal groups and associated memorabilia including photographs and other items relating to the service records of servicemen. Our in-house Valuer, John Morgan, is available on Wednesdays between 10am and 4pm. Appointments can be made through our Saleroom office for the specialist valuation days, however if you are not able to attend in person prior to these specific days you are welcome to bring items into us on Tuesdays, Wednesdays and Thursdays from 10am to 4pm, where the Valuations team will ensure that the Valuer sees them during his visit. Please contact us to discuss your items or requirements in more detail, by emailing Specialist Valuer John Morgan on jmorgan@sheffieldauctiongallery.com or by telephone on 0114 281 6161. 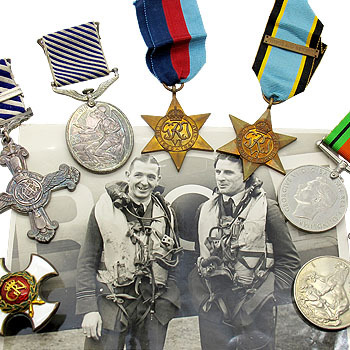 Autograph of Guy Gibson VC, DSO, DFC, RAF Wing Commander 617 Squadron (The Dambusters) with associated items.